The answer is really simple. Everyone has an email address which they tend to log into at least once or twice a day. The majority of us have smart phones that are signed into our email accounts 24/7 with that allow us to receive messages pretty much instantly. Email is really personal, direct and affordable way to get in touch with most people in the modern world. Some people might think that email has been pushed out by social media, but how accurate is that? Social media can be a useful tool to reach your customers, but, let’s be honest, social media websites come and go with the seasons. Not all that long ago everyone was raving about Bebo, Google Buzz and MySpace. Nowadays these are either long forgotten or totally irrelevant. Of course the current big boys on the scene are Facebook and Twitter, but not everyone is as dependent upon these social sites as they are upon their email account. Then, of course, there are other sites such as Instagram, Pinterest, Snapchat, etc. To make all of these channels work for your business you need a different strategy for each platform, but for a small firm this can quickly become overwhelming. At least you know where you’re at with good ‘old fashioned’ email – it’s like your dependable friend who has stood the test of time. Many marketing experts advise that building an email can be one of the best thing you can do for your website and your business. Why? Simply because when someone subscribes to your email list you can be sure that they really are interested in what you’re doing, which makes them far more likely to be receptive to your message. Email allows you to send personalised messages directly to your users for them to open and read in their own time. Your message is intended for a particular person and it’s delivered straight into that person’s inbox. It ‘s about as direct and personal as you can get without knocking on their door and giving them a box of chocolates. As we just mentioned the people on your list have already shown an interest in your products or services, so they’re much more likely to open the email, read its contents and click on any links. The more likely they are to click, the more likely they are to eventually buy from you and spread the word about just how amazing you are. People read email in the privacy of their inbox. Unlike social media, the messages you send aren’t on a public wall or getting lost amongst drunken selfies on someone’s timeline. If the recipient has any questions, they know they can ask you questions privately and in confidence. Not everyone is comfortable asking questions in a public environment where anyone and his dog can read them. You can use this opportunity to provide real value by offering content that’s useful to your subscribers – it’s not all about trying to sell, sell, sell. As your subscribers gradually begin to develop trust in your organisation and what you have to say, you build a one on one relationship with them, which encourages them to become brand ambassadors, proudly spreading the word on your behalf. You don’t have to invest any money at all to start an email campaign. Yes you read that right, you can get started without spending a single penny! No matter how tight your marketing budget you can still see a return. Simply sign up to a list building service such as Mailchimp and start today – all you need is a signup form on your website and you’re away. You can also use this handy tool to work out your return on investment before you get going. 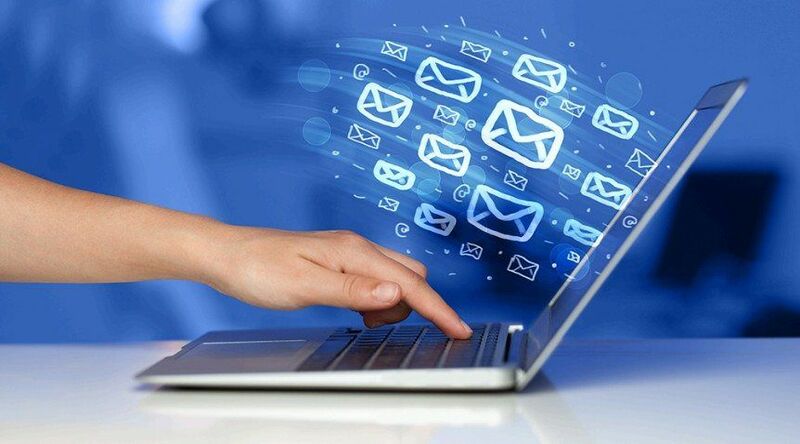 In conclusion, email has the potential to work a lot better than many other online marketing methods. Plus it’s pretty much free! Many household name companies discovered this a long time ago, and that’s why they continue to spend thousands of pounds running social media campaigns with the sole aim of getting people to sign up for their email lists. They understand that the email is a fantastic long-term investment for their business and so should you. Done correctly, people will continue to get your message, at very little cost to you and for a longer period of time. Isn’t it time you integrated email into your marketing strategy?